Stop the Presses! 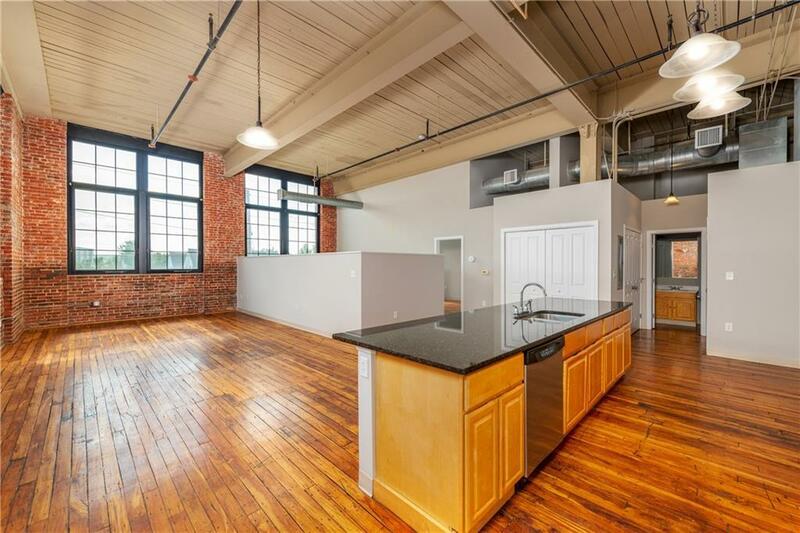 1st floor rear corner unit - one of the best spots in the whole building - Now For Sale! 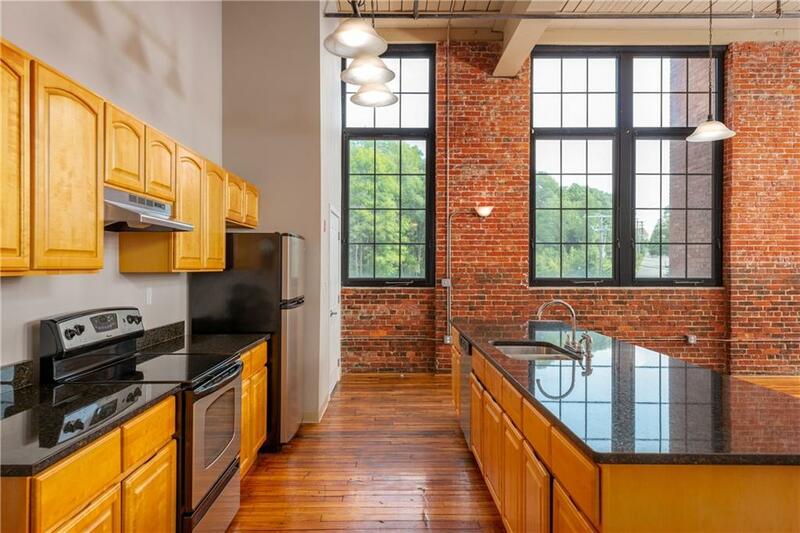 Step into an amazing space with soaring 15' tall ceilings, exposed brick walls and spectacular over-sized windows. 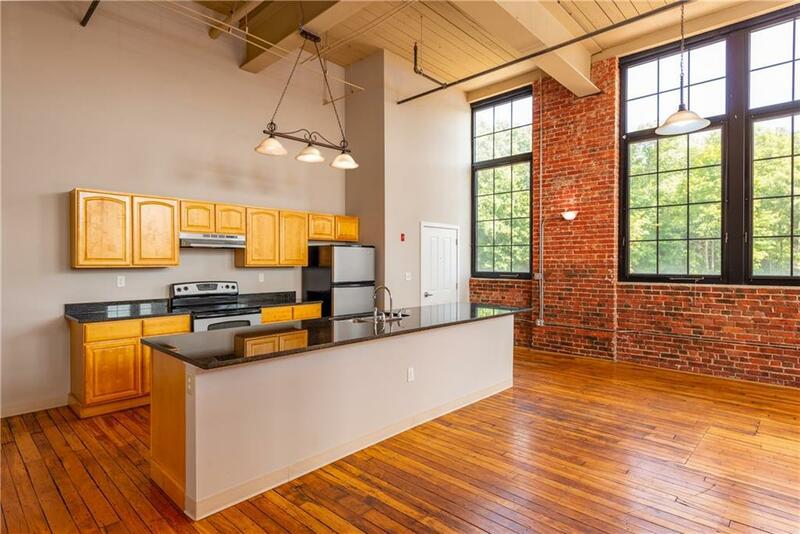 Awesome entertaining space with open floor plan including a huge island kitchen with maple cabinetry and granite counter tops, exposed beam ceilings, original distressed hardwood flooring and more. The Master Suite is very large and includes a private bath and walk-in closet. The second bedroom is a semi-private space elevated slightly with a half wall dividing it creating a nice space for a den or home office. 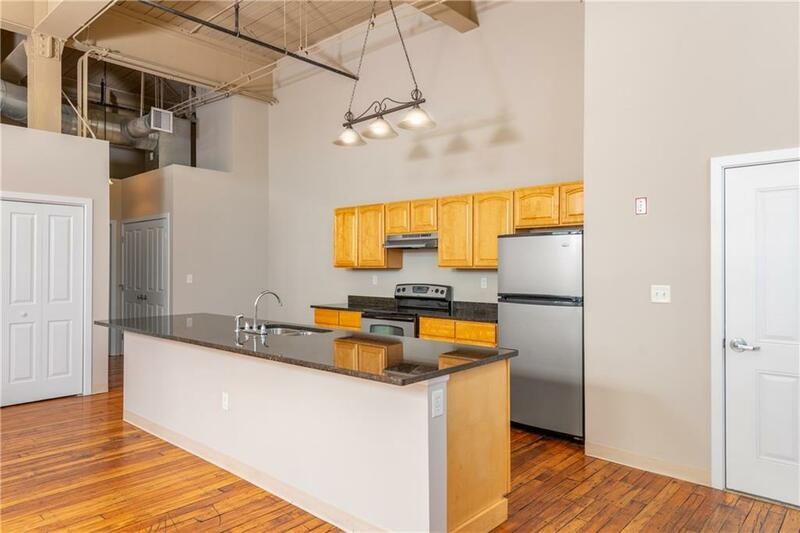 Laundry hookups in unit, central air conditioning and a huge storage space in the basement (370sq' - almost the size of a 2-car garage). Photos are of identical unit above.